The evolution of language translation is no doubt a result of communication. Due to cross-context communication the need of language translation is rising. Because of this even smallest of enterprises are growing and expanding globally and all of this is because of communication. No doubt cross-context communication is not easy, costly and needs special care, translation is a real game changer either ways. Errors and mistakes in translation can completely change the track and can be open to misinterpretations. But the errors can be avoided if being completely taken care of. All industries involved in the translation services have been serving corporates and people for a long time now. And with the online presence of these companies, the services have gained more momentum worldwide. As language means is generally preferred for communication among different cultures and, it has become an integral part of our lives be it writing or reading. The evolution of translation began with the origin of writing and reading. Translation began when there was scope of economic exchange in the ancient era of Rome and Greece. However, translation is not easy, the loss is not just financial, it can lead to miscommunication, misinterpretation, loss of reputation and much more. Translation may be open to errors, but it is important too. Increasing demand for non-English language. People selling their services cross border. Non-English countries reaching foreign markets. Globalization- increased global communications across countries. Companies looking for hazel free communication with other firms. 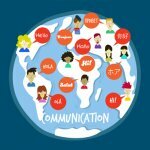 The rise of computer-aided translation- With the increasing progress in internet and rising communication across international boundaries, the prominence of computer-aided translation is rising. The software which serves the translation needs such as detection of repetition within the documents, usage of previously translated sentences to save time, and much more. All the companies which are providing translation across borders use these kinds of software. This software not only reduces cost of the clients but also provide error free translation. Widespread eminence- companies are always looking for translation and when talking about global business, generally English is the main source of translation. 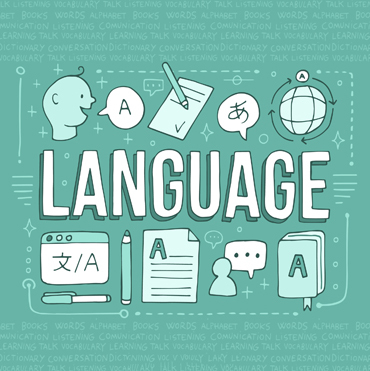 Which means, English is being used for translation of various languages such as Spanish, French, Chinese, Italian, Portuguese, Japanese, German and much more. Translation is generally used for websites, documents, contracts, software and much more. Now a days translation services are necessary in almost all industries be it financial institution, legal matters, life sciences, healthcare industries, etc. Translation creates influential position. Healthcare Industry- medical professionals need translation services for various things like hospital brochures, patient’s handbooks, hospital communications, case reports forms, patient records, healthcare booklets, lab test results, medical history of patient, etc. Not only in health care industry but also in pharma industries too. Translation services enable communication and develop the presence of medical professionals globally. As when dealing with international platforms language becomes a barrier, translation eliminates this barrier. 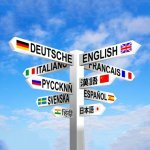 Business translations with ease- If companies are looking to grow and expand their business globally, translation can help them do so. Translation can help any size business be it small medium or large reach its target audience effectively cross border. With effective usage of resources for good quality translation, businesses can excel and go for reliable business transactions and dealings. There are various types of files required by businesses for their business operations, these include- Frame maker, .XML, .HTML, MS word, page maker, etc. Not only in business, organizations and healthcare industries, translation also plays an integral part in other demanding industries such as research and development, travel and tourism, information and technology, banking services and finance and much more. Translation enables firm to reach global markets and have exposure to all sorts of potential customers and clients effectively. With rising demands of translation services, the translation industry is destined to grow more by the end of 2020, major reason being globalization, and rise in the text generation worldwide. With the rise in translation, technology is also growing. In order to reduce costs, many companies are using AI as machine translation (MT). many platforms are now available such as Microsoft translator, Google Translate and very recent Amazon translate. Although these technologies are doing a great job in translation, in some cases their accuracy is cannot be trusted fully. Documents like tax translation or creating new interfaces in new languages or manual creation for a new product in different language. But, when humans and AI work together, these barriers are eliminated easily. AI doing the initial job and humans rectifying it with expertise. Though this process may not be as cost effective as it is targeted due to human interference, the technology is creating a huge impact and shaping the results of the translation process. Will AI End the Translation Jobs? With AI and machine learning and its sophistication, it can be said that the machines will remove all the expenses companies incur in acquisition and retention of the human translators. This will lead to loss of thousands of jobs in various fields such as publishing, marketing, and other translation jobs. Machines are not humans, which is why they cannot feel and understand the emotions behind the work they are doing. Humans are experienced and have been doing the work for a long time now. AI and Machine Learning are not easy to install. It can be a costly affair.